Looking for a comprehensive call center or answering service in Arizona? Look no further than Ambs Call Center, a full service call center company. Ambs operates diligently around the clock 24/7/365 to help your business function and grow. Our teams of well trained professionals are on hand to handle customer service calls, schedule appointments, take orders, register patients and much, much more. Whether you are in the property management, HVAC or nearly any other industry, our services can help you succeed. This level of service helps you and your staff focus on more important tasks and enjoy The Grand Canyon State to the fullest. 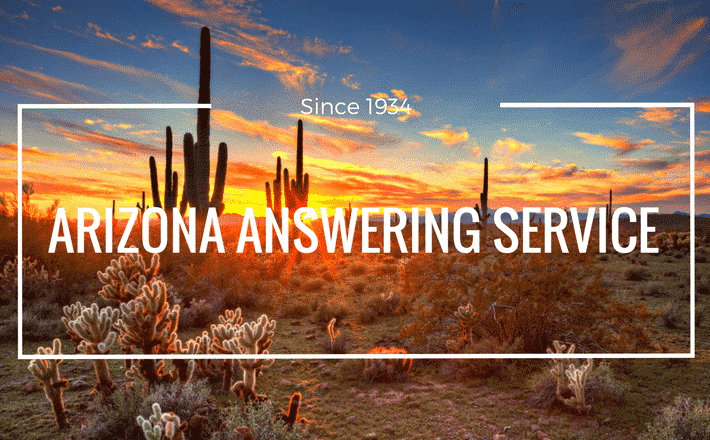 The benefits of answering services in Arizona stretch far and wide. With our constant support and 24/7 answering services, Ambs Call Center acts as your ideal employee; never sick, never absent and working around the clock for you. Best of all, we make you look good. Whether you’re a company of 1 or 1,000, operating in Phoenix or elsewhere in Arizona, we can give you a professional image through your own specific instructions on greetings, order taking, scheduling, etc. This level of customer service and interaction benefits your business exponentially; leading to more positive reviews, more return customers and more business. Along with these services, we utilize call center software to bring customer service to a whole new level, building and managing relationships across your entire customer base. So whether you’re enjoying the local nightlife or catching a game on TV, you can have the peace of mind knowing Ambs is serving your best interests and growing your business. Whether you have one call a day or 100,000, ensure the person that picks up the phone is someone with your best interests in mind. Contact Ambs Call Center for more information on how we can help grow your business in Arizona.